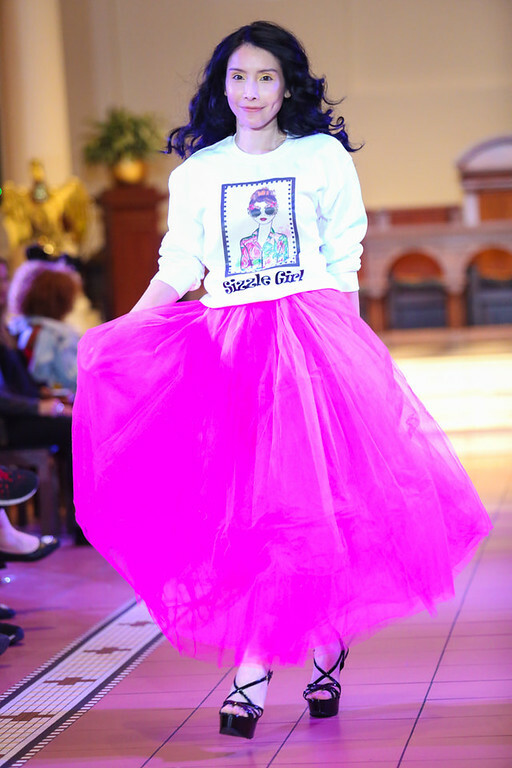 Gal Gadot was in attendance for the premiere of ‘Ralph Breaks The Internet’ held at The Curzon Mayfair in London on Sunday (November 26) . 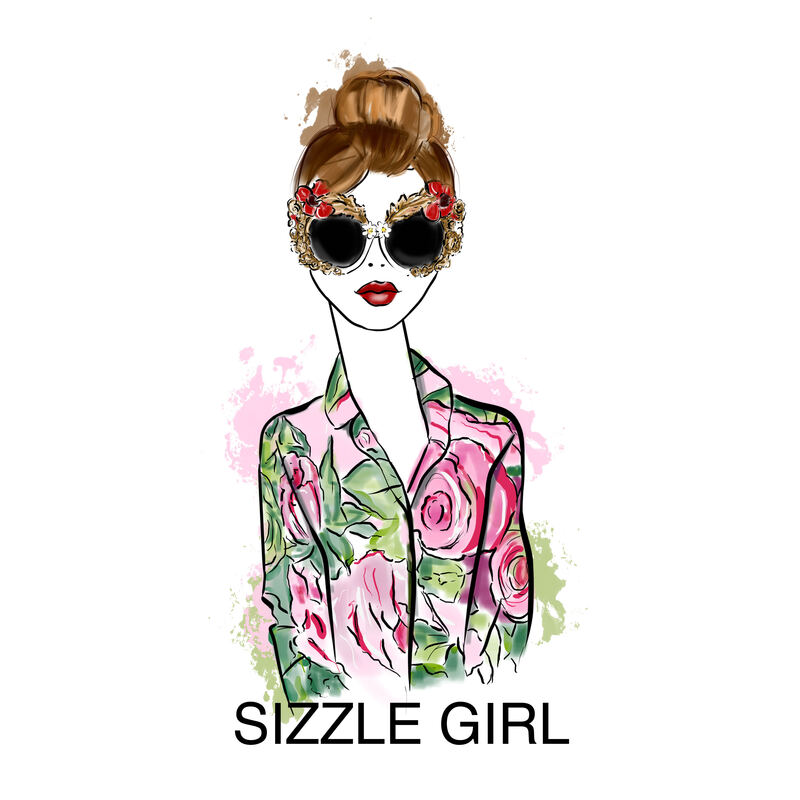 She wore a dark red Mugler suit. 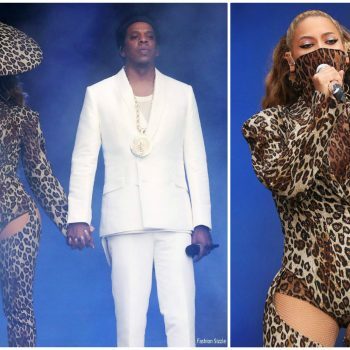 Beyonce Knowles and husband Jay Z recently were the talk of the town over the weekend after releasing their surprise album on stage during her performance of On The Run II’ Tour at the London Stadium. 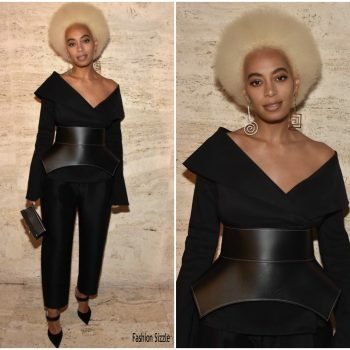 Solange Knowles attended The Stuart Weitzman Fashion Week Cocktail Party on Thursday (February 8) in New York City She is wearing Mugler Resort 2018 styled with a Stuart Weitzman ‘Shoebox’ clutch also ‘Eventually’ pumps. 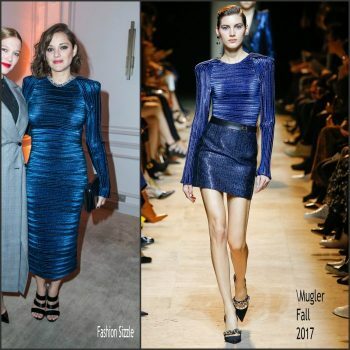 Dakota Fanning made a guest appearance on Watch What Happens Live She is wearing a Mugler Fall 2017 dress. that has an asymmetric hemline . Gal Gadot was in attendance at the Revlon Live Boldly launch event on Wednesday (January 24) in New York City. 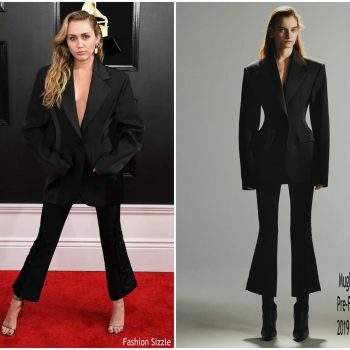 She wore a black Mugler Spring 2018 jumpsuit. 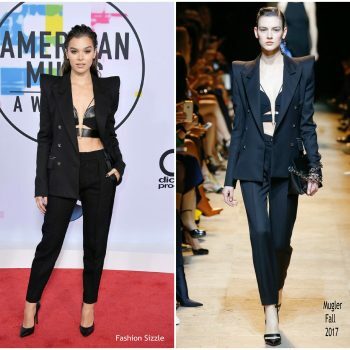 Hailee Steinfeld made a guest appearance on ‘The Tonight Show Starring Jimmy Fallon’ on Thursday (December 14) promote her new film, ‘Pitch Perfect 3’ . 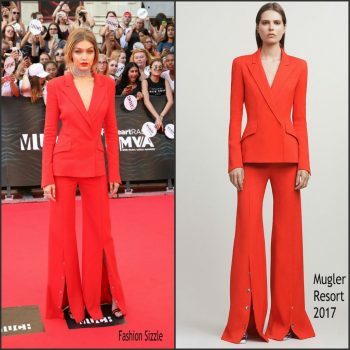 She is wearing a Mugler Resort 2018 design. 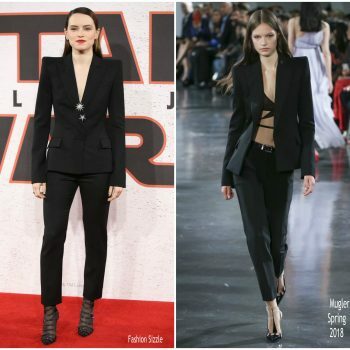 Daisy Ridley She wore a black Mugler Spring 2018 structured suit. 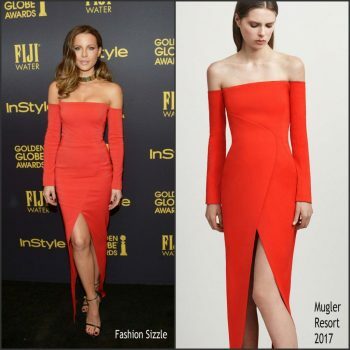 Kerry Washington attended the 34th Annual Night of Stars gala on Thursday (October 26) in New York City She wore a Mugler Resort 2018 dress. Evan Rachel Wood attended the ‘Westworld’ panel during San Diego Comic-Con 2017 on Saturday (July 22). 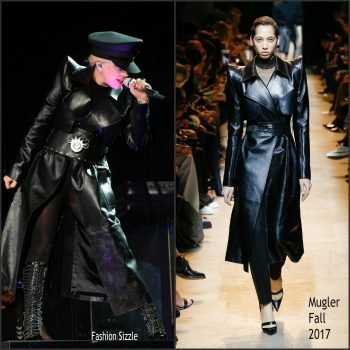 She wore a Mugler Resort 2018 design. Jessica Chastain was in attendance at the ‘Miss Sloane’ photocall in Madrid on Wednesday (May 3). 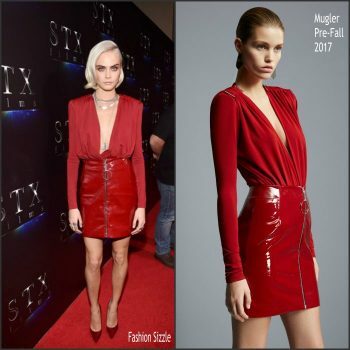 She wore an emerald-green Mugler Pre-Fall 2017 dress. Marion Cotillard and Lea Seydoux were in attendance at Choppard Dinner Du Cinema Celebrating Cannes Film Festival. 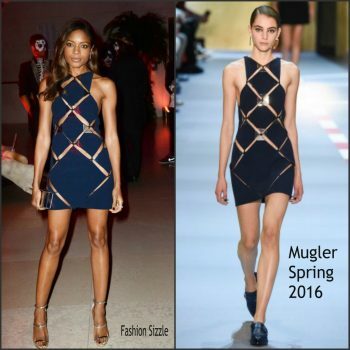 Marion is wearing a Mugler Fall 2017 dress styled with a pair of black strappy shoes. 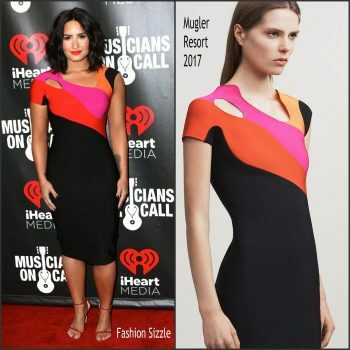 Demi Lovato was in attendance at the Musicians On Call Presents A Night To Celebrate Elvis Duran She is wearing a color block a Mugler Resort 2017 dress styled with red Stuart Weitzman ‘Nudist’ sandals. Allison Williams the premiere of her new movie Get Out on Friday night (February 10) at L.A. Live in Los Angeles. 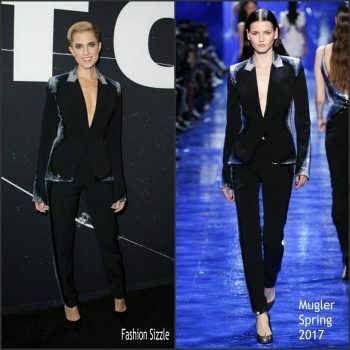 She wore a Mugler Spring 2017 sequin-embroidered suit. 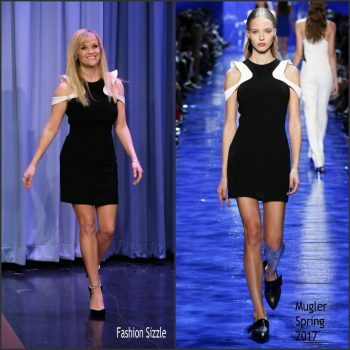 Reese Witherspoon made a guest appearance On Tonight Show Starring Jimmy Fallon. 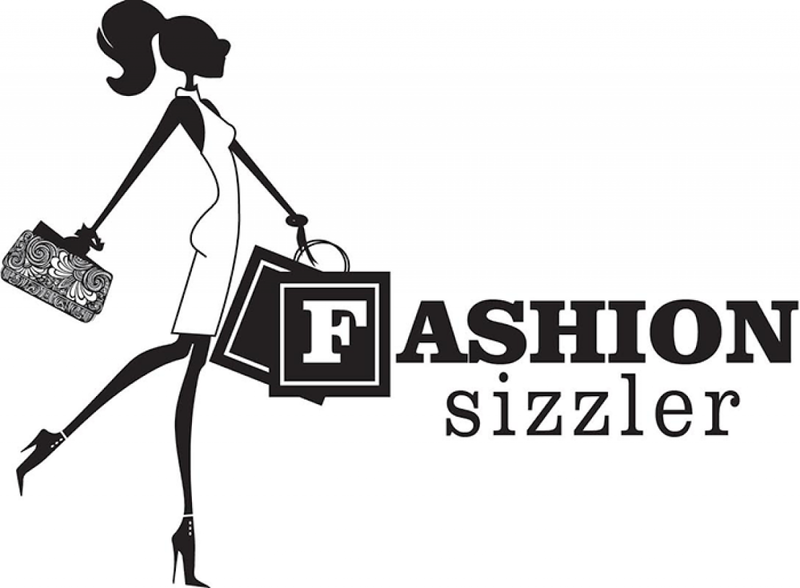 She wore a black and white ruffled cold shoulder Mugler Spring 2017 dress Stella Luna "Pearls" pumps. 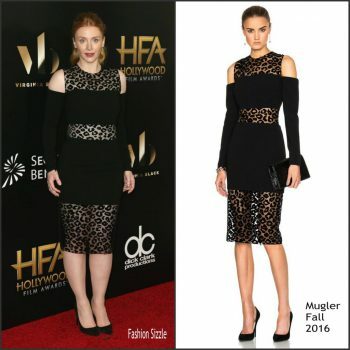 Bryce Dallas Howard was in attendance at the 2016 Hollywood Film Awards on Sunday November 6 , 2016. 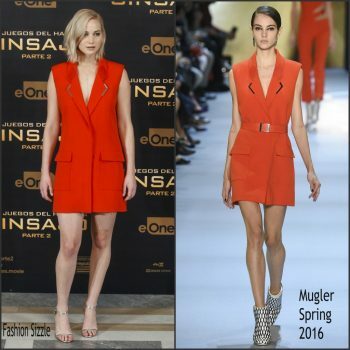 She wore a Mugler Fall 2016 leopard velour paneled cady dress. iHeartRADIO MuchMusic Video Awards host Gigi Hadid arrives at the 2016 iHeartRADIO MuchMusic Video Awards at MuchMusic HQ on June 19th, 2016 in Toronto, Canada. 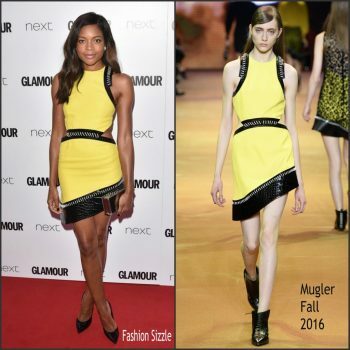 Naomie Harris attends the Glamour Women of the year Awards At Berkeley Square on June 7, 2016 in London, England. Kate Beckinsale attends the UK premiere of 'Love and Friendship' at The Curzon Mayfair on May 24, 2016 in London, England. Actress Kate Beckinsale attends the premiere of Roadside Attractions' 'Love And Friendship' at Directors Guild Of America on May 3, 2016 in Los Angeles, California. 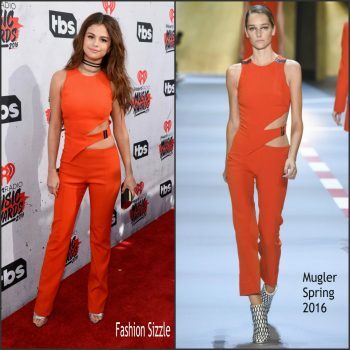 Selena Gomez attended the 2016 iHeart Radio Music Awards which was held at The Forum in Inglewood, CA on April 3, 2016. Olga Kurylenko was in attendance at ‘The Water Diviner’ photocall at Villamagna Hotel on in Madrid, Spain on Friday March 27, 2015 . 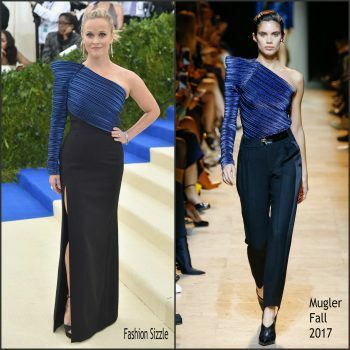 She wore a navy blue asymmetrical halter Mugler Pre-Fall 2015 dress .